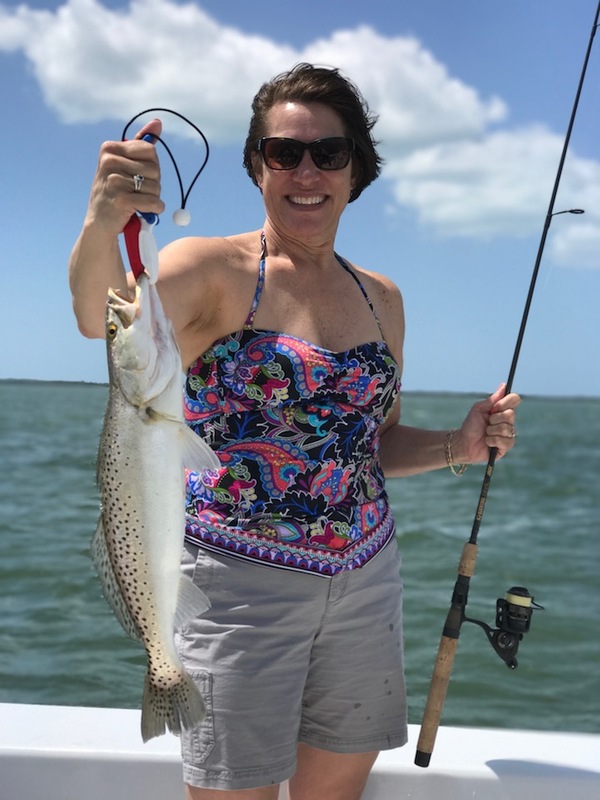 Sanibel Island and Fort Myers Beach Fishing Charters! 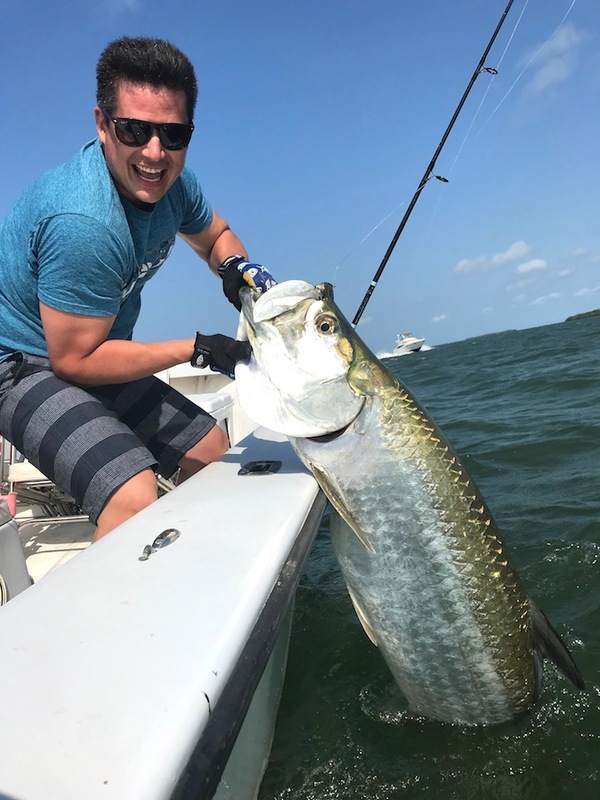 Welcome to Southwest Florida Fishing! Florida rod and reel fishing started right here in Sanibel and Ft Myers. 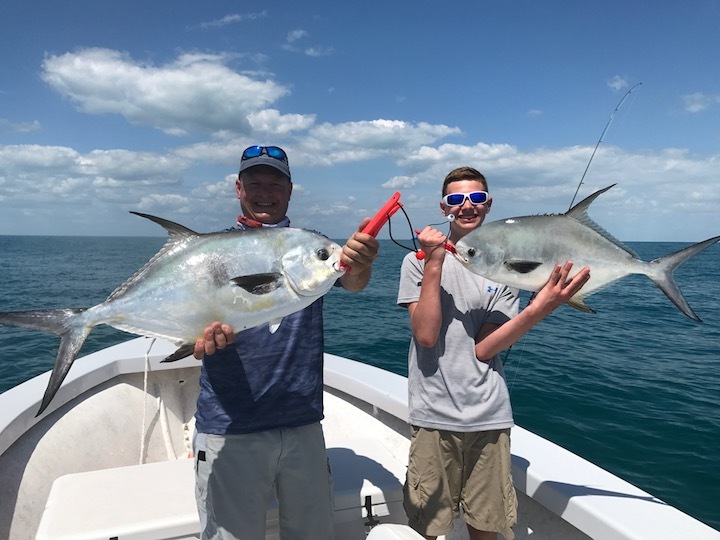 We carry on that tradition and welcome all anglers to experience first hand a day fishing Sanibel, Captiva, Pine Island and Fort Myers Beach Florida. Our local waters are filled with over 50 different species of sport fish. The fishing options are limitless. San Carlos Bay, Pine Island Sound, Matlacha Pass, and the Gulf of Mexico are our fishing grounds. Post red tide fishing, Sanibel Island Snook! We had a beast Red Tide Late July-September, devastating. Fishing has miraculously bounced back. Snook, Redfish, Kingfish, Tripletail, Mackerels! Goliath Grouper Show with Trophy Fish Hunter and Lucky Tackle Box Crew! Fishing with Trophy Fish Hunter and Lucky Tackle Box Crew! Tarpon proving things look cool in slow motion. A recent Snapper fishing charter turned into a battle with a giant Goliath Grouper! Shallow water fishing for Redfish! We have flats, oyster bars, and mangrove shorelines teeming with shallow water sport fish. Whoa! Picked up this Tiger Shark recently, back breaker! Sanibel, Captiva and Fort Myers Florida are home to prehistoric sized fish like Tiger Sharks, Hammerheads, Goliath Grouper, and Tarpon. February has been a great weather and fishing! We are on are first Cobia and Kingfish for 2019. Can't wait to catch more! Good days and great Fishing! View photos of our many trips below, simply rollover each image to see description. Tarpon Time! April and south winds, Tarpon are starting to migrate through Sanibel and Captiva’s surrounding waters. Sanibel Island is an awesome to place to visit, relax and fish! Redfish are one of our favorite fish to target and catch. These beauties are generally caught in shallow water, less than 4 feet. We use light tackle spinning gear, live and artificial baits (whatever they’re preferring). 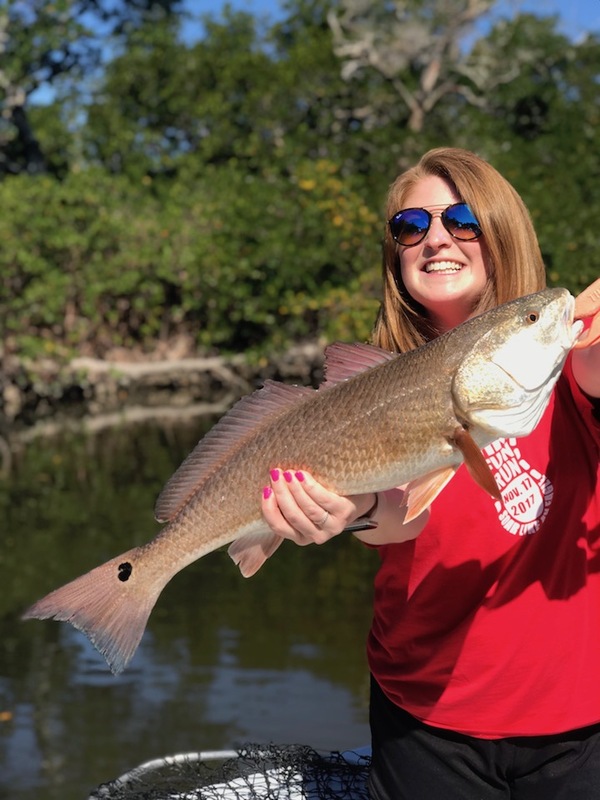 Redfish are some of the most sought inshore species in Florida, and for good reason, let’s go red fishing! 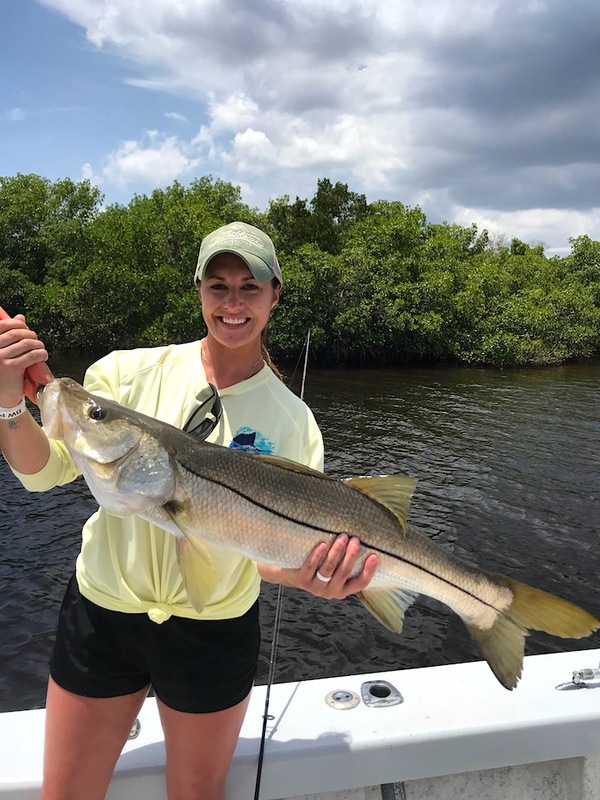 Inshore Snook fishing is one of our favorite fishing experiences. Our local estuaries are one of the best places to target this Florida favorite. There is something special seeing a monster Snook engulf a perfectly placed bait/lure. The Snook is a world class fish, ready to get the big one! Fishing with family is a great way to spend any day. Sanibel and Ft Myers beach are great places for family’s to vacation. Slow down and relax, enjoy the beautiful natural surroundings on the local waters. 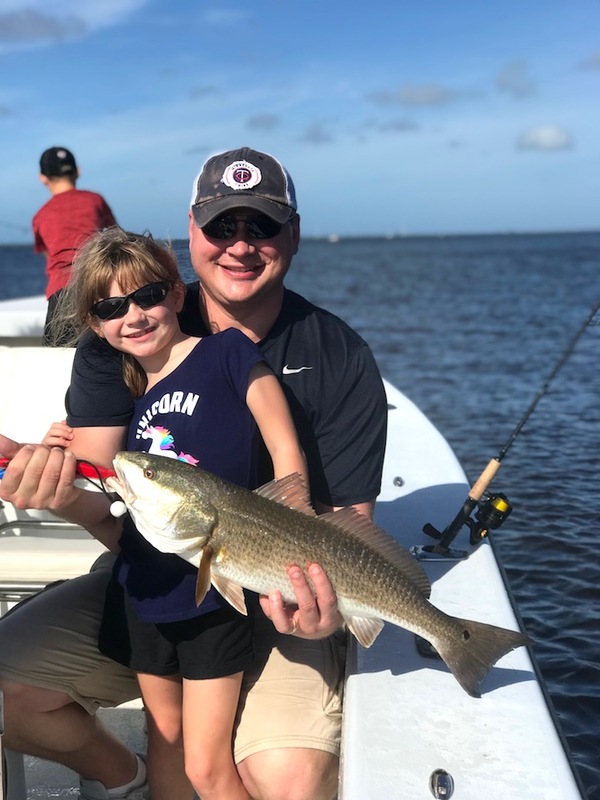 We relish being apart of a new family tradition, catching fishing in southwest Florida! Fishing gulf waters offshore Sanibel and Ft Myers Beach Florida! Fishing Gulf waters offshore Sanibel can test any anglers strength. 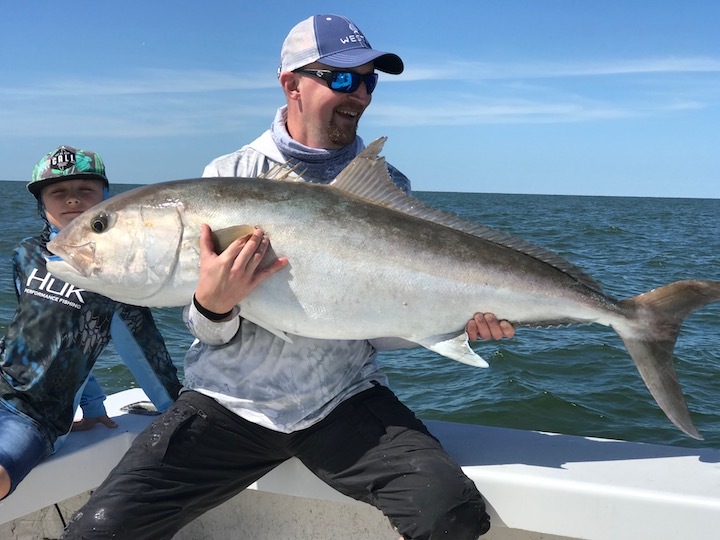 We target many different species, pictured is a Amberjack. We love fishing our inshore species but equally love fishing our offshore brutes. One of the best ways to catch table fish is a day fishing Sanibel and Ft Myers Beach! 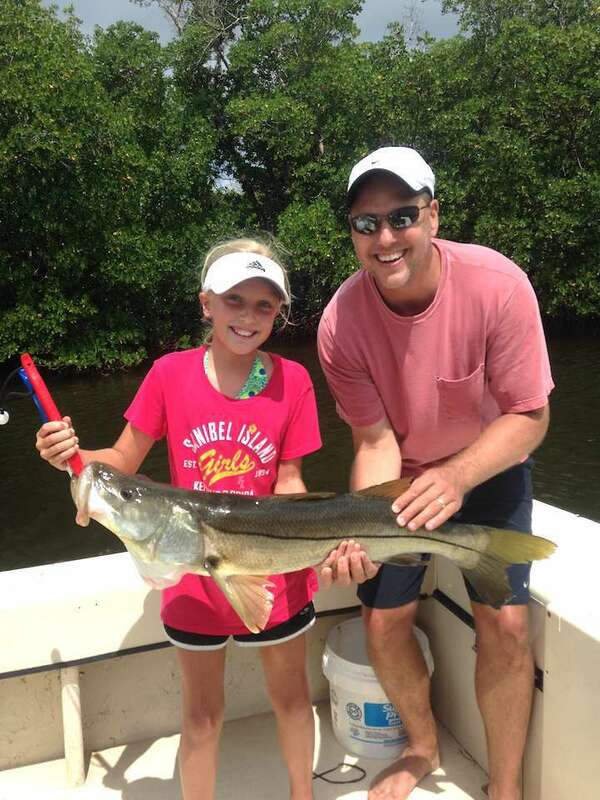 Snook fishing and Sanibel Island are Florida staples. 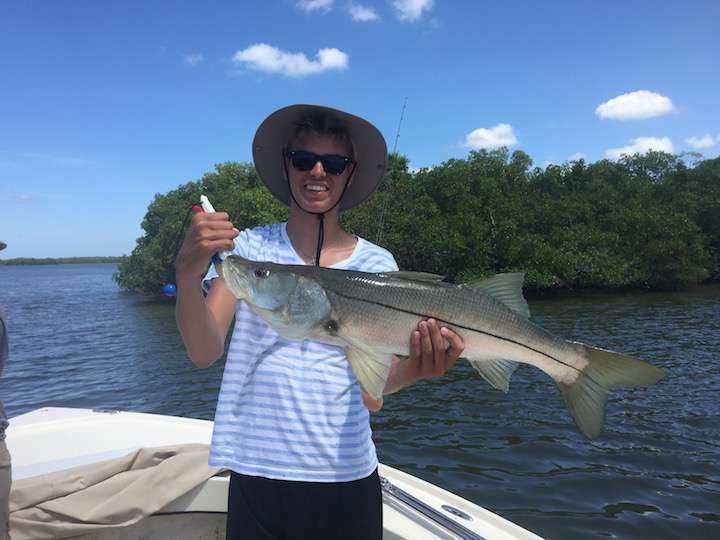 Snook fishing is an awesome way to explore and experience the wonderful waterways around Sanibel Florida. We have endless mangrove shorelines, oyster beds and grass flats. Our passion for fishing started with the snook, and continues on to this day. Inshore fishing for Redfish is a blast! Ft Myers Beach is a great vacation and fishing destination. We fish for these beauties in shallow waters surrounding Lee counties barrier island chain. Water depths from 2-4 feet. Grab a friend or bring your family and lets go fishing! 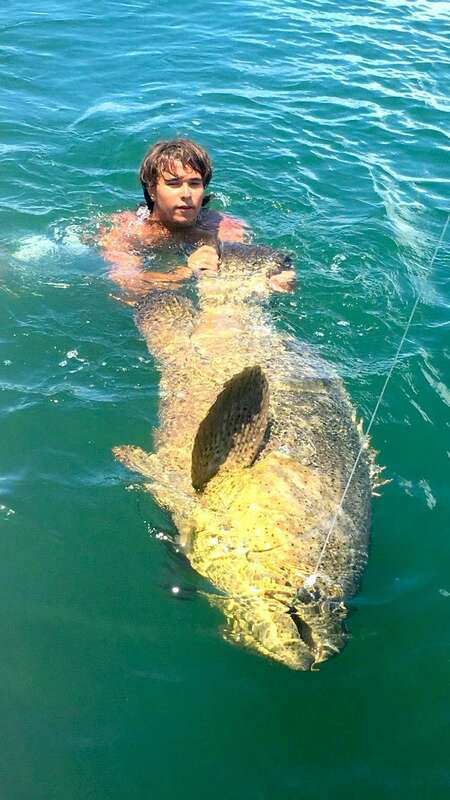 Goliath Grouper fishing is extreme sport fishing. Muscle and motivation! Our waters are home to a constantly improving Goliath Grouper population. We love catching fish with mega tackle, but equally enjoy fishing light tackle. We love Sport Fishing. We bring appropriate tackle for the sport of fishing. Father and Son Fishing Trip! Epic Father and Son fishing Trip! Permit Time! We fish a ton! One of the many draws being what’s possible each day. Leaving the dock each trip is the start of a fishing adventure! San Carlos Bay, the Gulf of Mexico and Pine Island Sound, are loaded with fishing potential. We are excited to be a part of a total fishing experience! A great way to cool off after fighting a monster fish! 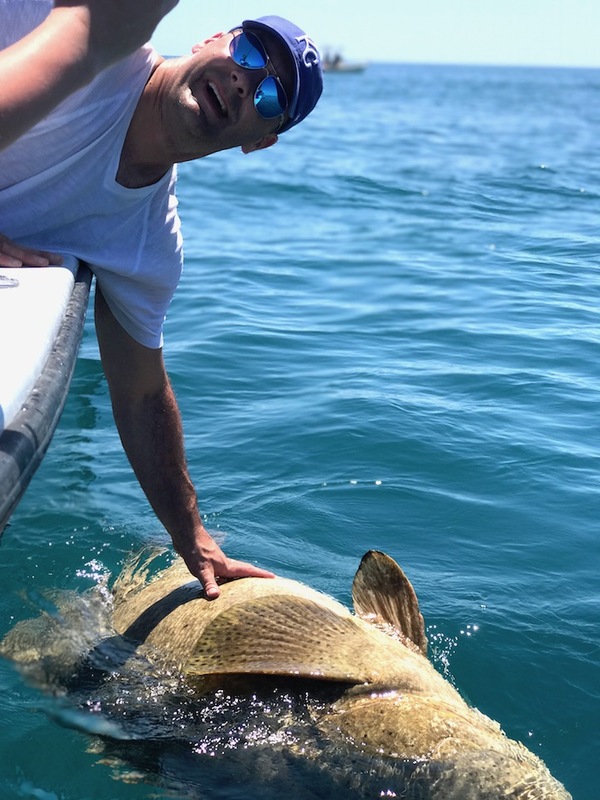 This Goliath Grouper was twice the size of the angler. Father and daughter fishing trips! 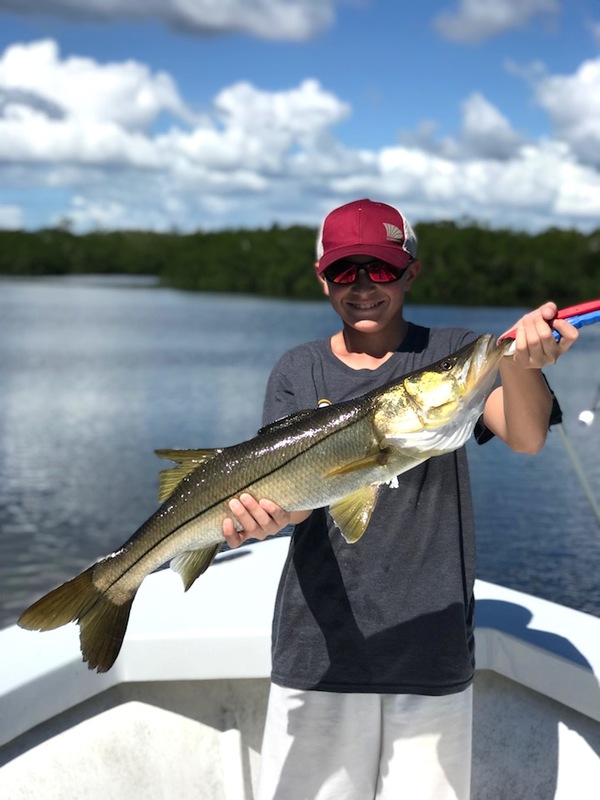 Sanibel Florida could be the perfect place to Snook fish. Fishing the local waters is definitely a family affair! Fishing Sanibel and Ft Myers beach, 50 species of sport fish, 300 days of sunshine, and endless good times! A fine example of one of our favorites! 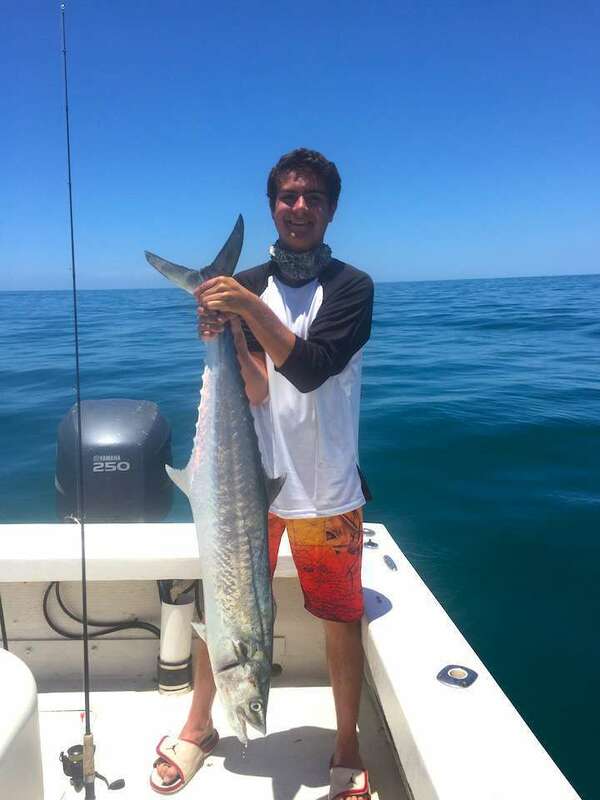 Offshore speedster, the King Mackerel, found in Gulf waters near Sanibel Island Florida. 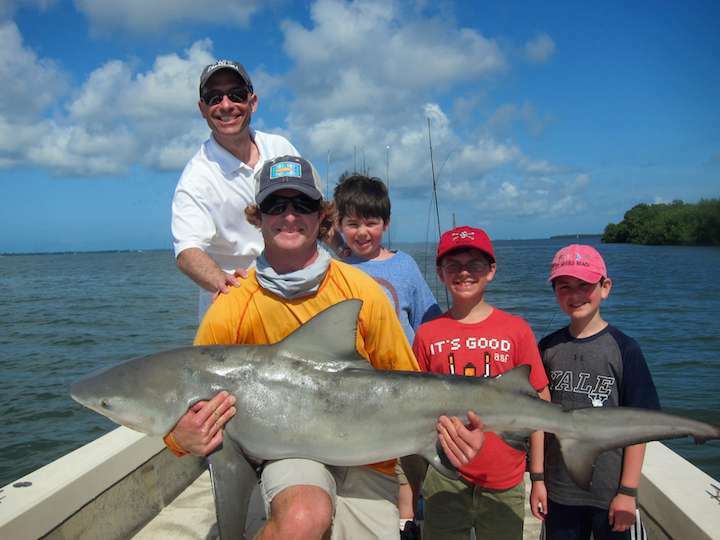 Bull Sharks, Tiger Sharks, Hammerheads, Spinners, Lemon, Blacktip, Sandbar, and more! 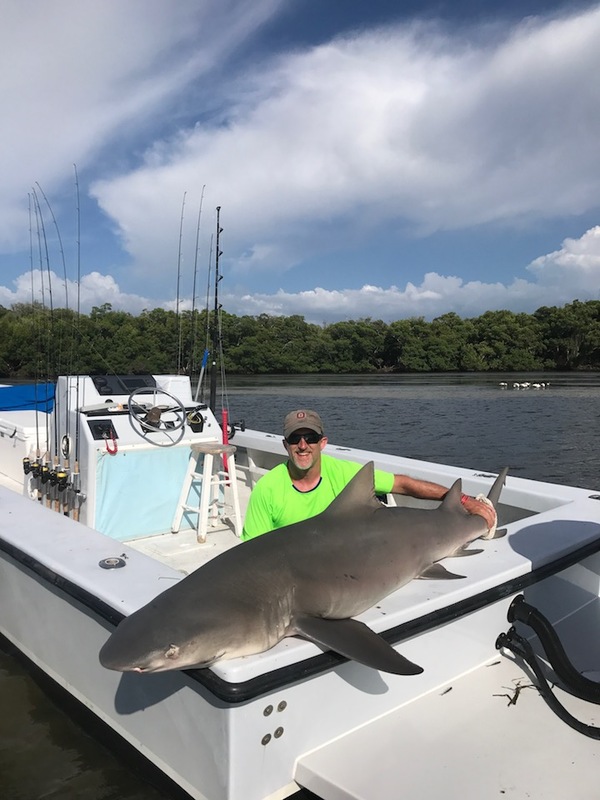 Fort Myers Beach and Sanibel Island are great waters for Shark fishing. An epic fall Redfish caught on 10lbs line by this lady angler, Captain Ryan on the assist. This fall has been a great year for bull reds. 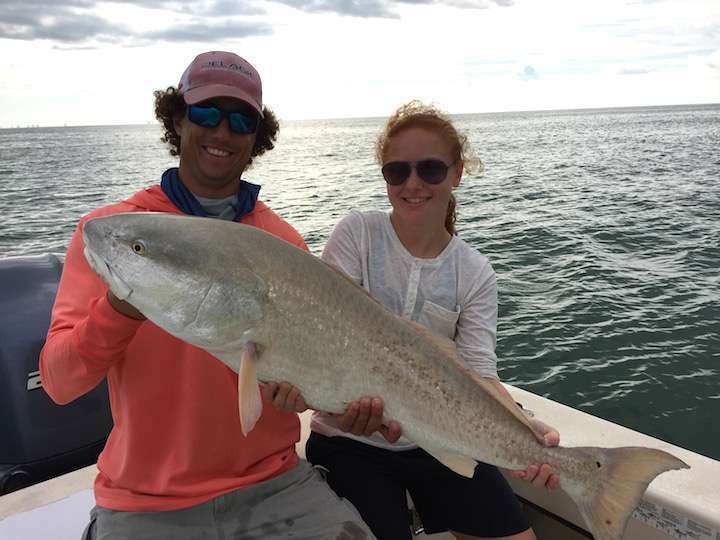 Redfish in the 40″ range are being caught in the nearshore waters of Sanibel, Captiva and Fort Myers Beach Florida. Inshore fishing Sanibel Island and Fort Myers Florida is an awesome experience and a great way to spend any day. 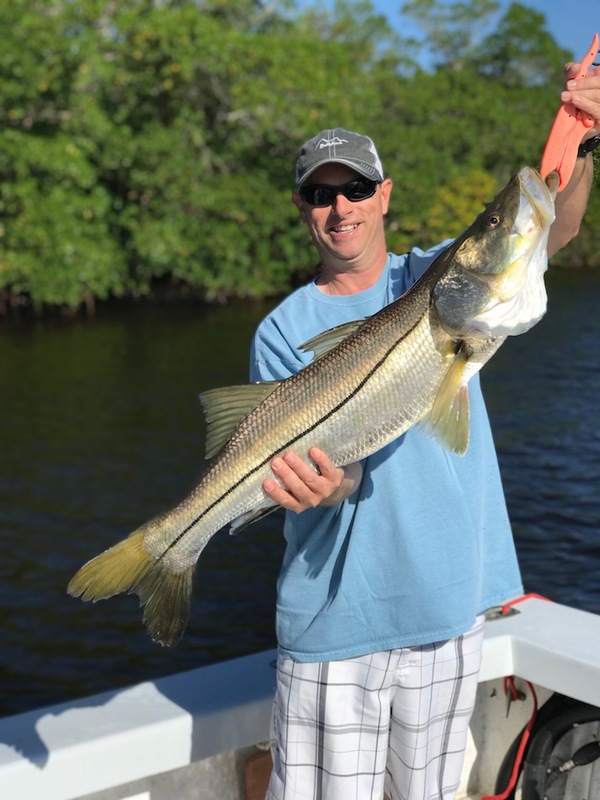 This is one of our inshore highlights, the most excellent Snook! These legendary fish are targeted by anglers from all over the globe. The above fish was caught in the shallow waters surrounding one of the many mangrove islands that dot our inshore seascape. 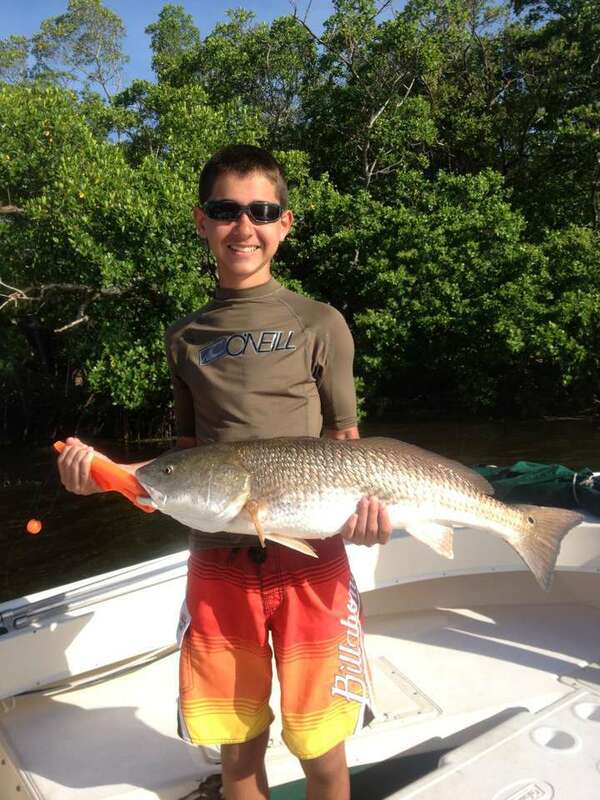 This young man bested a beautiful Sanibel Redfish. 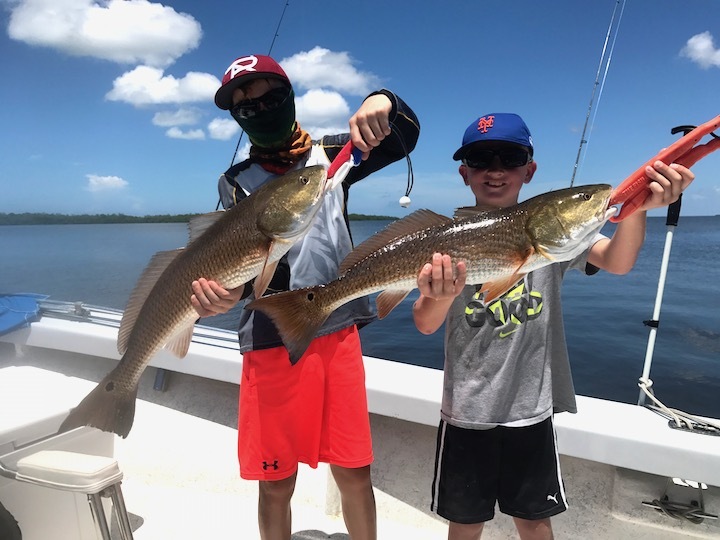 Redfish are another Sanibel and Fort Myers inshore fishing highlight. These beauties patrol mangrove islands, coastal shorelines, grass flats, oyster beds and can be caught with many different fishing techniques. One constant is their big runs and beautiful reddish scales. Sanibel and Captiva Florida are incredible places to fish and be. Especially for families. We have so many fishing options, with something for everyone! 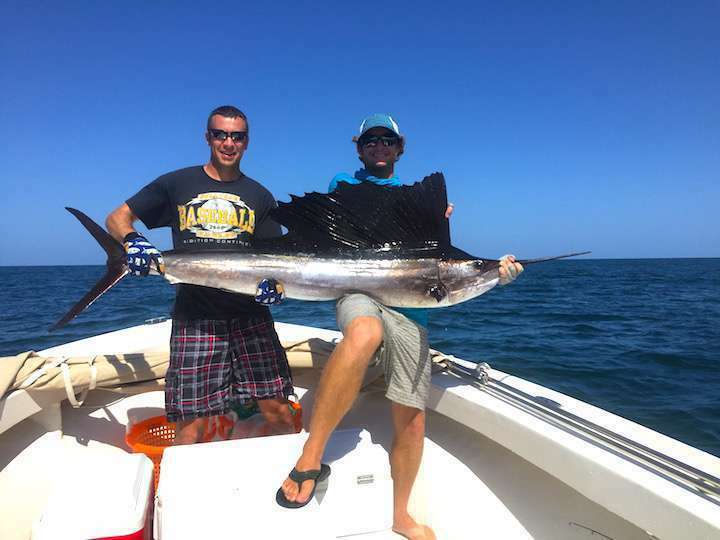 Local Sanibel Island fishing charters. Fort Myers fishing charters. Fort Myers Beach fishing charters.Local Sanibel Island fishing guide. Fort Myers fishing guide. Fort Myers Beach fishing guide. Captiva fishing charters. Captiva fishing guide. Cape Coral Fishing Charters. Southwest Florida Fishing Charters. Southwest Florida Fishing Guide.